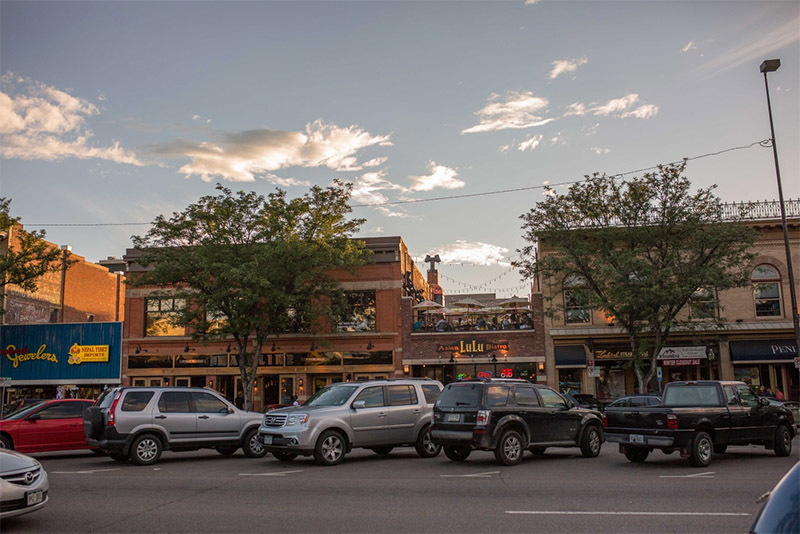 The Land Use Code Section 3.8.7 contains standards for signs regulated in the City of Fort Collins. The second phase will reconfirm the community’s goals for the entire sign code, engaging the public in conversations about size, color, lighting, location, technology, and materials. Additionally, the second phase will increase the legibility of the sign section, by reorganizing and clearing up code language. Within the last few years, many jurisdictions across the nation have updated their sign codes in response to the United States Supreme Court case, Reed v. Town of Gilbert. These updates have clarified their regulations are content neutral. Content neutral sign regulations do not vary standards such as size, location, and duration based on the message of the sign. In a review of the City of Fort Collins current sign standards, it was found some were based on the message of the sign. City staff began looking closer at message based standards and began the process to offer content neutral solutions. In preliminary discussions with citizens, business owners and sign contractors concerning a content neutral update to the sign standards, we received comments that other sections of the code could also be updated. Like many jurisdictions across the nation, the City of Fort Collins is updating their sign code in response to the 2015 U.S. Supreme Court case, Reed v. Town of Gilbert. This ruling clarified that sign codes must be content neutral. This means that sign regulations cannot vary standards such as size, location, and duration based on the message of the sign (e.g. “political sign” or “for sale sign”). Some existing City codes are based on the type or message of the regulated sign. 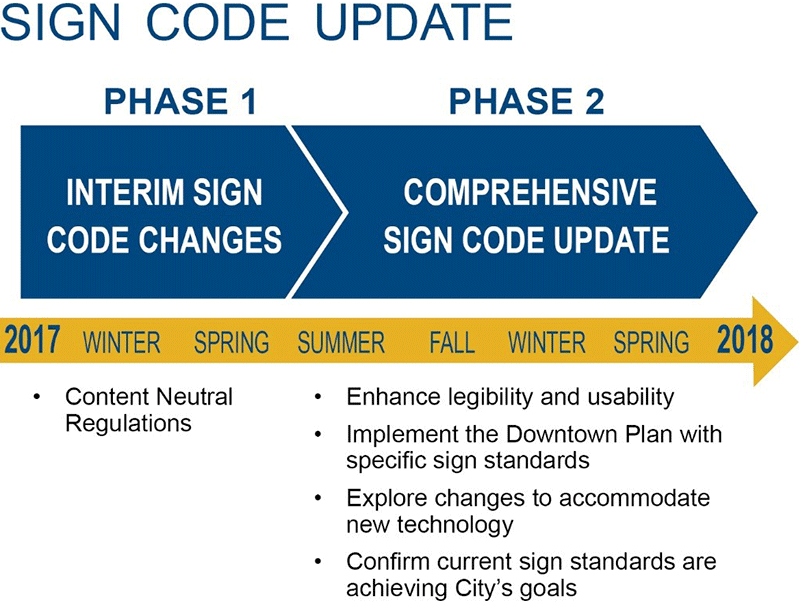 This sign code update is also an opportunity to reconfirm that the sign standards achieve the City’s aesthetic values and goals. This focuses on enhancements to the overall legibility and use, materials, implementation of the recently adopted Downtown Plan, and exploration of new technology. The draft of the proposed changes to the Sign Code is available for review (see Downloads below). See the meeting schedule below for upcoming events. Mar 7, 2018 Coffee Talks at 281 N. College Ave.